LSB approves CILEx independent practice application 17 December, 2013- LSB approves ILEX Professional Standards’ applications to enable it to authorise CILEx members to practise independently in Probate and Conveyancing. Change to barrister CPD 4 December, 2013- Bar Standards Board announces changes to CPD requirements for barristers. SRA to take targeted approach to training 4 December, 2013- SRA to take steps to remove the prescriptive requirements of the training contract and pursue a more targeted approach to ensuring solicitors have the skills to deliver high quality legal services. SRA advice to firms without PII 26 November, 2013- Solicitors Regulation Authority issues advice to those firms that have so far been unable to secure a new professional indemnity insurance policy. 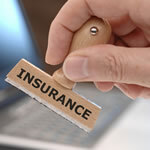 Firms warned to declare PII position 19 November, 2013- SRA warns firms that they must declare their insurance position if they are to avoid being in breach of regulations. SRA statement on consumer credit work 24 October, 2013- SRA reminds solicitors that a second consultation has been published by the Financial Conduct Authority setting out its rules and guidance for regulating consumer credit activities from 1 April 2014. SRA Consults on File Storage Costs 15 October, 2013- With a view to reducing the costs of intervention, the SRA yesterday launched a consultation seeking views on its proposals for managing file storage and its policy on keeping original documents following an intervention. CILEx launch new route into legal profession 4 October, 2013- New route into the legal profession was launched this week by the Chartered Institute of Legal Executives (CILEx) and Skills for Justice. SRA Handbook hits version 8 4 October, 2013- SRA launch version 8 of the SRA Handbook with changes to SRA Indemnity Insurance Rules, Authorisation Rules, Practising Regulations, Accounts Rules and a new set of Overseas Rules 2013. Registrations begin for QASA 2 October, 2013- Solicitors in the Midlands and Western circuits wishing to perform advocacy in the criminal courts are now able to register for the QASA scheme. Firms may need their own credit licence 23 September, 2013- SRA issues guidance stating firms may need own consumer credit licence from the FCA if they want to undertake consumer credit activities. SRA to “empower” consumers 10 September, 2013- SRA Board to consider a two-year plan of actions which it is claimed will "help ensure consumers have the information they need when they use legal services". New PII option for small firms unveiled 4 September, 2013- Law Society enters into joint venture to offer solicitors firms with between one and four partners a new direct route to professional indemnity insurance cover. Law Society launches Wills and Inheritance Quality Scheme 27 August, 2013- The Law Society is to launch a Wills and Inheritance Quality Scheme at the end of October 2013 which will provide a quality standard for wills, probate and estate administration practices. Look out for the lion: LeO takes solicitor to Court for contempt 27 August, 2013- A solicitor has received a £5,000 fine and been ordered to pay £1,500 compensation to client after being taken to court by the LeO for failing to comply with one of its decisions. CLC targets conflict and complaint handling 20 August, 2013- CLC to assess standards of practice in the management of conflicts of interest and look at the quality of complaint handling amongst member firms. SRA publishes Risk Outlook 10 July, 2013- SRA launches The Risk Outlook - a key communication about its view of key risks and the approach it takes to managing risk within solicitors practices. Law Society publishes flood risk guidance 24 May, 2013- In the light of the growing risk posed to property by flooding, the Law Society has issued new guidance to all of those involved in transactions where property likely to be affected by flooding is involved. SRA clarifies approach to referral fee ban 24 May, 2013- SRA issues a statement hoping to clarify it stance on the referral fee ban affecting firms carrying out personal injury work. Grayling rejects will writing as a reserved activity 17 May, 2013- Government rejects call for will writing to become a served legal activity. Applications to remain on roll 10 May, 2013- Solicitors who do not hold a practising certificate but who wish to remain on the roll are being reminded that the deadline for applications is Tuesday 18 June 2013. SRA to get tough with failing firms 7 May, 2013- The Solicitors Regulation Authority (SRA) has indicated that it will take tough action against failing firms that do not take steps to wind down efficiently. SRA Chief Executive to step down 3 May, 2013- Solicitors Regulation Authority announces that its Chief Executive, Antony Townsend, will be stepping down later in the year. SRA launches version 7 of the Handbook 10 April, 2013- Solicitors Regulation Authority launches the 7th version of its handbook.